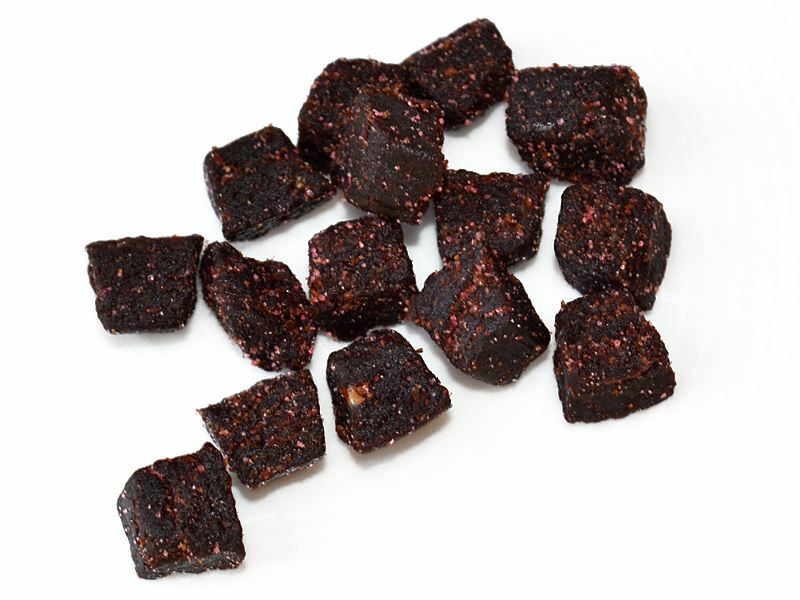 Our acai cubes are a composition of acai fruit, apples and maltodextrin. No sugar nor sulphur was added. Just a little citric acid helps to preserve this product. The very interesting taste of the fruit remains in the cubes thus creating an alternative for a snack or to add into muesli. The acai fruit comes from the Brazilian acai palm (Euterpe oleracea). Especially in Brazil, the fruit and palm hearts are used as food. The fleshy mesocarp of the fruit is mixed with water to make a drink or ice cream. So far, no process was found to dry the fruit because of their limited life and the thin pulp, therefore acai juice or powder are more easily found on the European market.